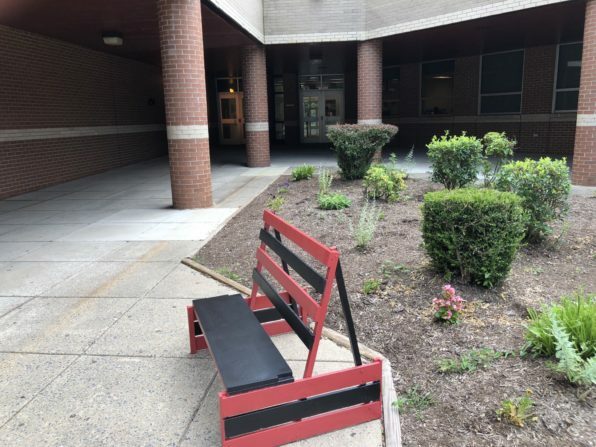 As many of you are gearing up for the back-to-school season, we wanted to share a heartwarming story about a group of students from Briggs Chaney Middle School (BCMS) in Silver Spring, Maryland who took direct action to make their school a more welcoming place this year. Briggs Chaney Middle School students begin construction using lumber and tools from the Forklift. Students painting the buddy bench. 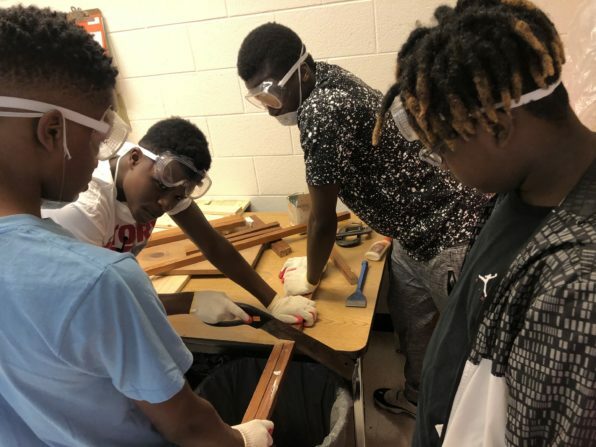 Na’Shea originally reached out to the Forklift in search of lumber, sandpaper, paint, tools, and hardware for the project her students wanted to complete. 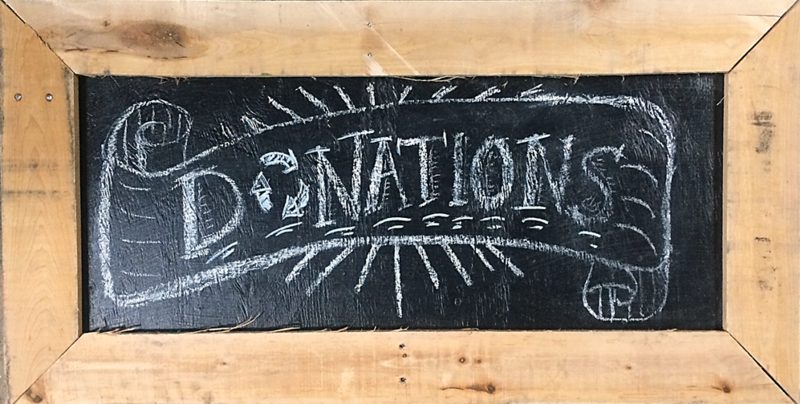 She applied for a Community Building Blocks (CBB) grant to finance the project and was awarded store credit, allowing her to acquire the materials she and her students needed, at no cost. Forklift is proud to have been able to support such an inspiring project through our CBB program. Na’Shea estimated that the buddy bench will impact 900 students, faculty, and family members at BCMS. 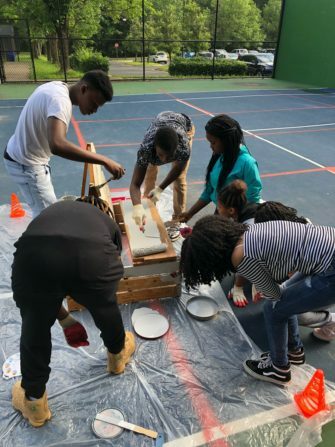 The students at Briggs Chaney not only constructed a welcoming place for students, but they did it with salvaged materials, demonstrating a small but impactful success of our mission to lift up communities through reuse.